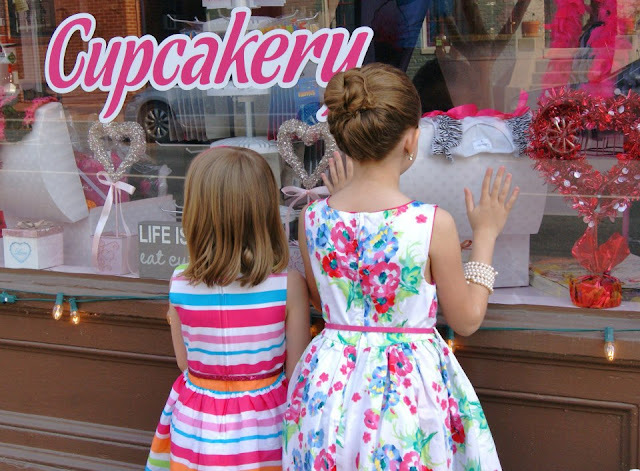 I took my daughters downtown for some photos in their new party dresses, and it was hard to get them away from the cupcake shop! It's the cupcakes. Who can resist that?